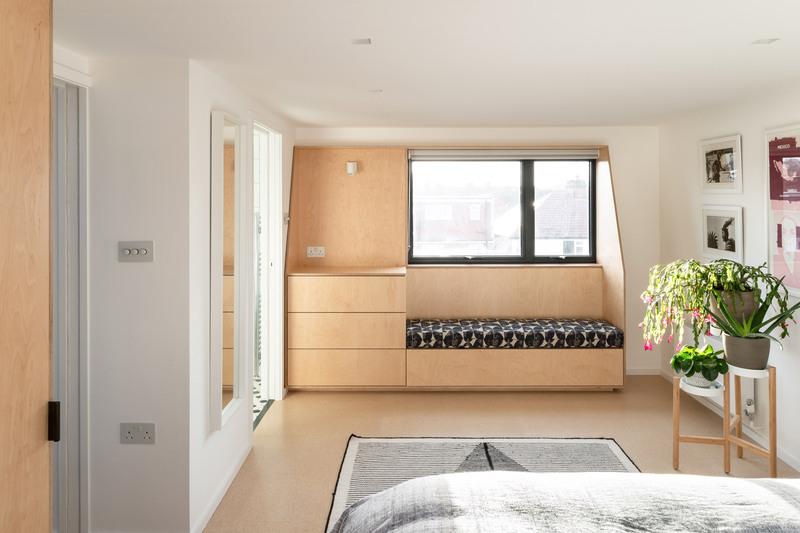 The first floor of the house is now used as a space for the clients’ twins, while the second-floor loft conversion accommodates a master bedroom with en-suite bathroom. 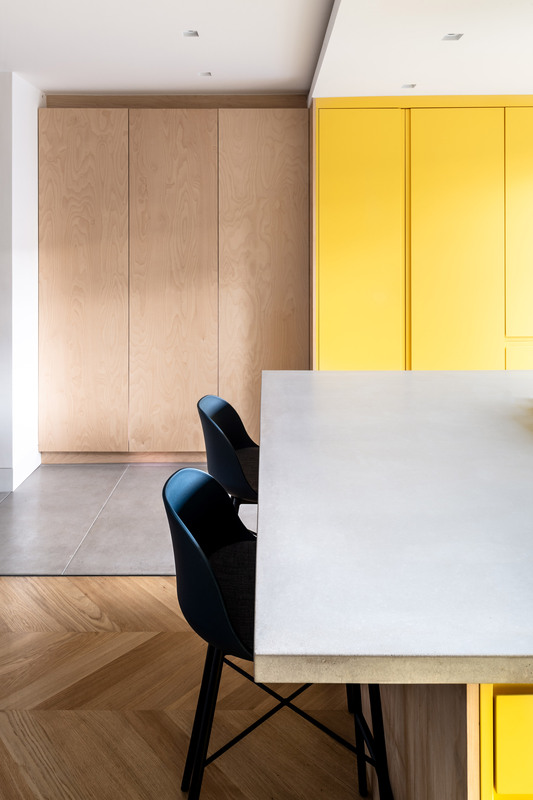 The house’s individual floors and spaces are linked by recurring materials and joinery that create consistent “connecting ribbons” and visual references. 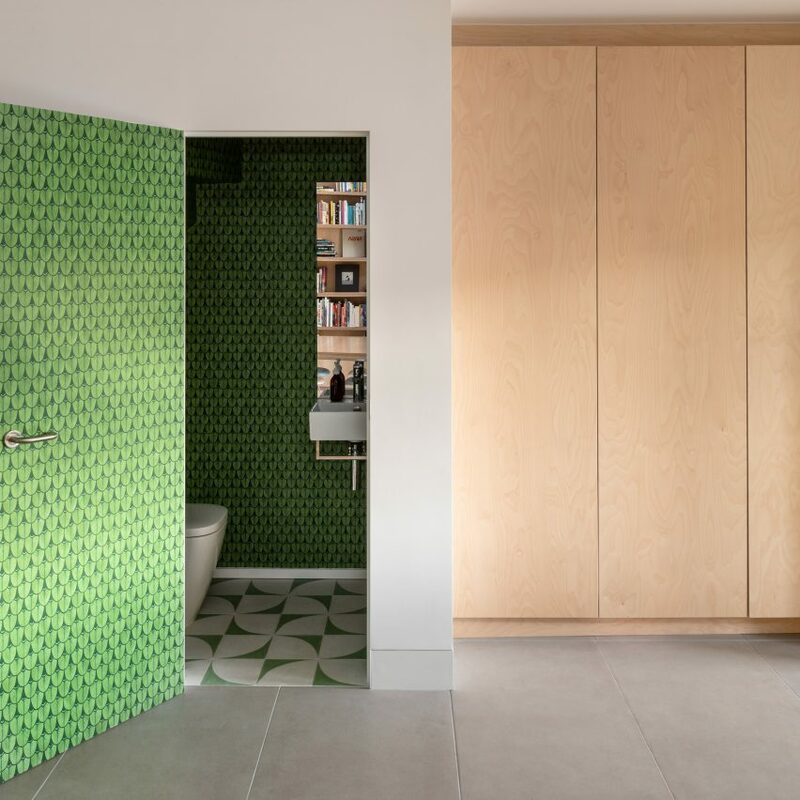 “Although the main house, garden and home office exist as individual elements, by the use of repeated materials and neutral aesthetics they become visually linked, with the garden acting as the transitional outdoor area,” said Gruff Architects. 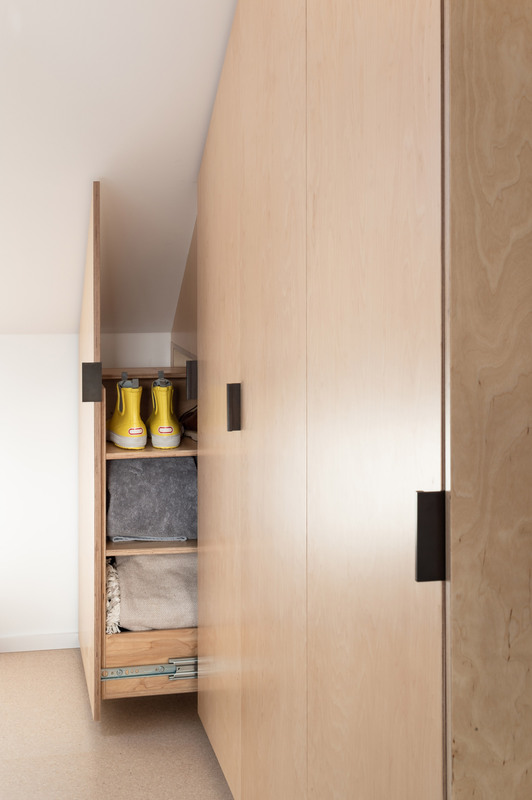 A painted timber staircase with shadow gaps and recessed handrail has also been inserted at ground level, along with built-in storage that’s concealed behind birch ply doors. 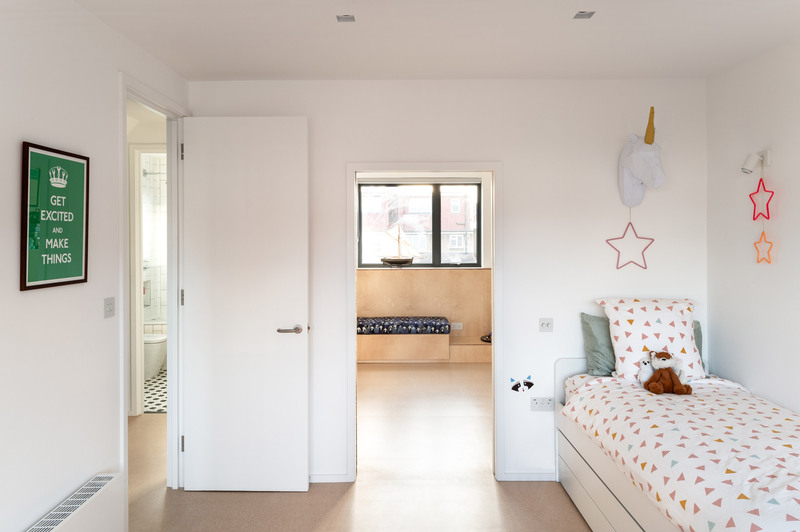 On the first floor, the children’s bedrooms are a mirror of one another while providing each child with their own personalised space. 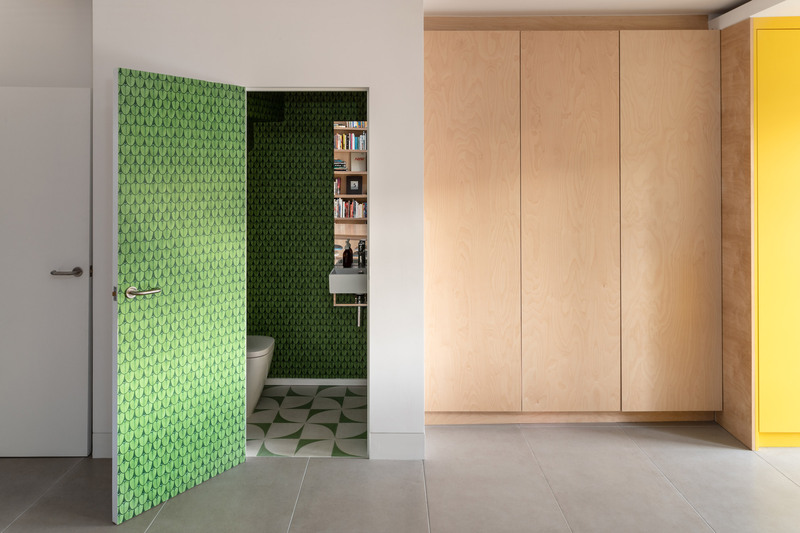 A secret door within the bedrooms’ adjoining wall gives the twins the option of unifying their rooms to create one large play space. 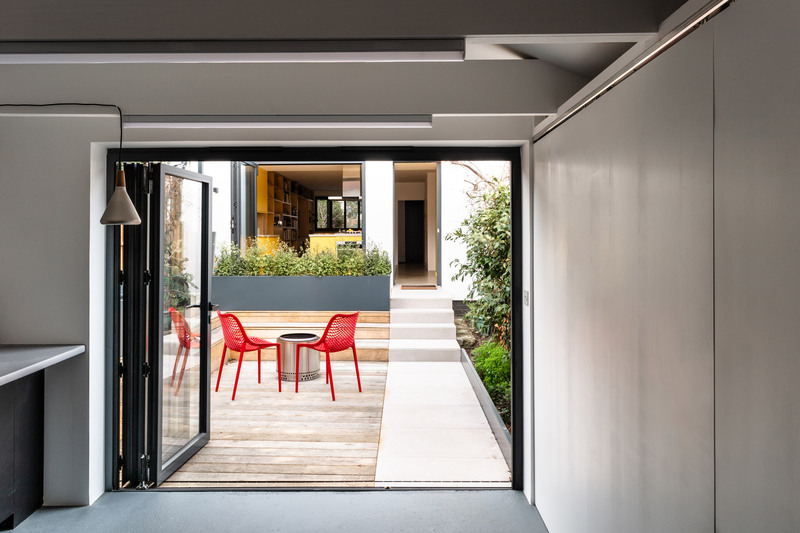 A concrete pathway that the architects refer to as “a material ribbon” runs from the front entrance to the side of the main living area and into the garden, where it leads to the client’s new home office, workshop and gadget station. 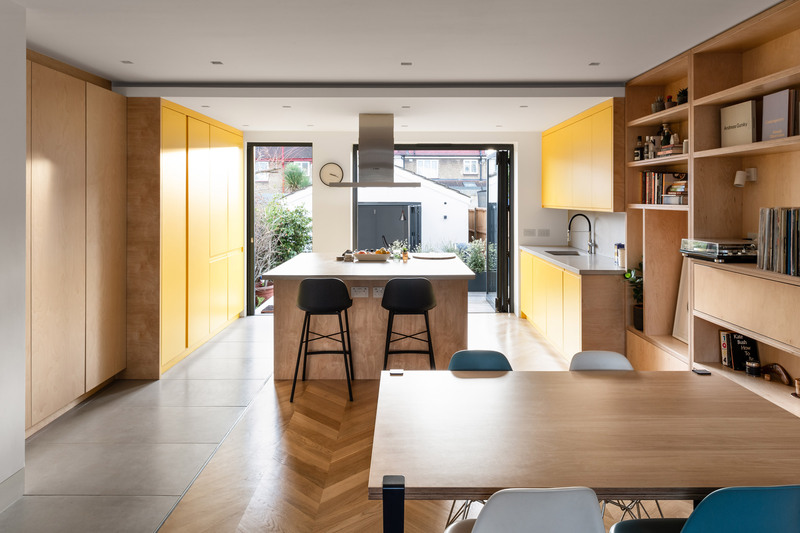 “Rather than a simple extension to modernise the house, with Bearstead the challenge was about reinventing the pre-existing plan itself,” said the practice. 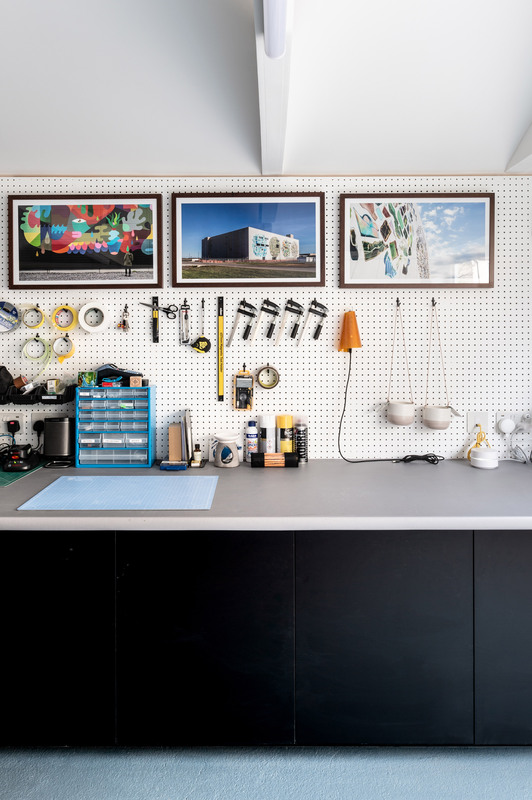 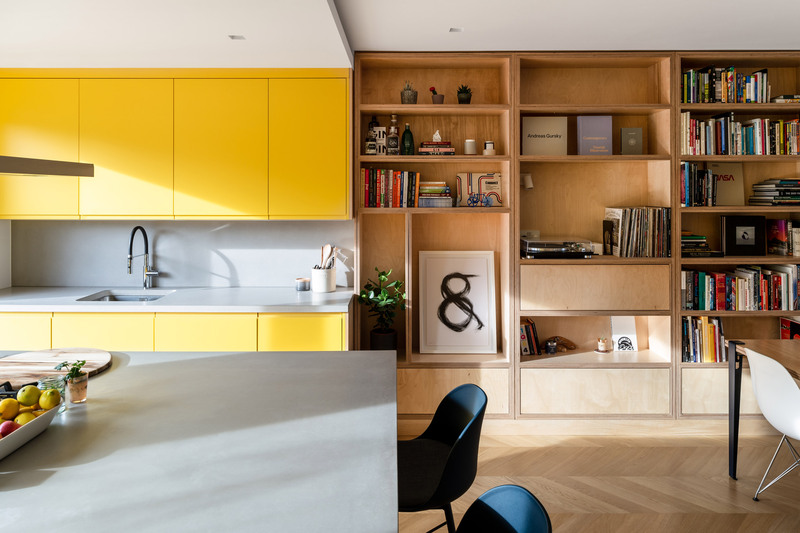 The post Gruff Architects overhauls 1930s London terrace with birch joinery and colourful accents appeared first on Dezeen.